Savory corn sticks are perfect little accompaniments to soup and chowder, and also make good breakfast bread served with tangy jam. I’ve been experimenting with dried dill weed and seed for the Spice Rack Challenge, with less success than snipped fresh dill, which is readily available (even organic) all year round. I have my own frozen dill pesto too. 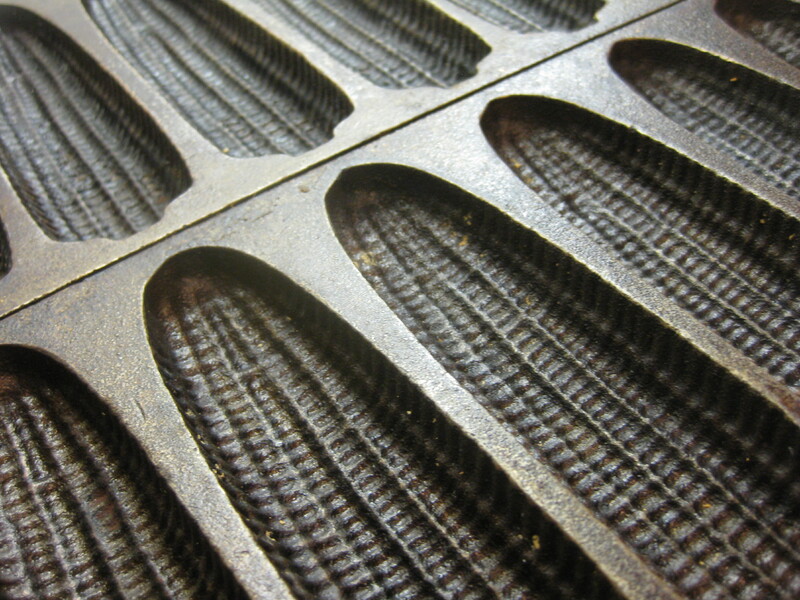 I bought a pair of old heavy cast iron corn stick molds at a rummage sale a few years ago, which are as picturesque as they are useful. If well oiled and heated in the oven for about 10-15 minutes before the batter is added, they produce a lovely crust on the cornsticks. I adapted this recipe from one in Carolyn Dille and Susan Bellinger’s book, Herbs in the Kitchen. Their recipe called for the addition of corn kernels, which I omitted, adjusting the amount of baking powder accordingly. 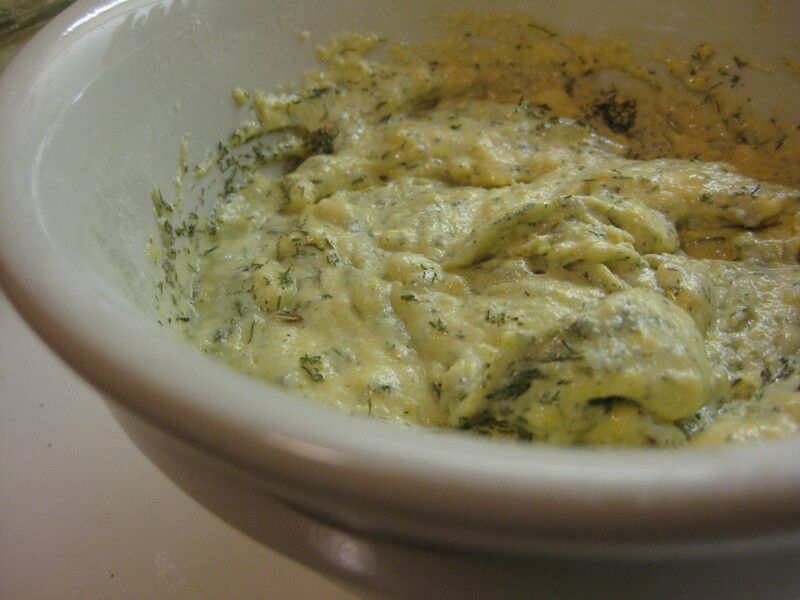 I made these two ways: with dried dill weed and seed, and with fresh dill. Both were good, but the fresh dill version had a cleaner, more pronounced taste. Preheat the oven to 350 degrees. 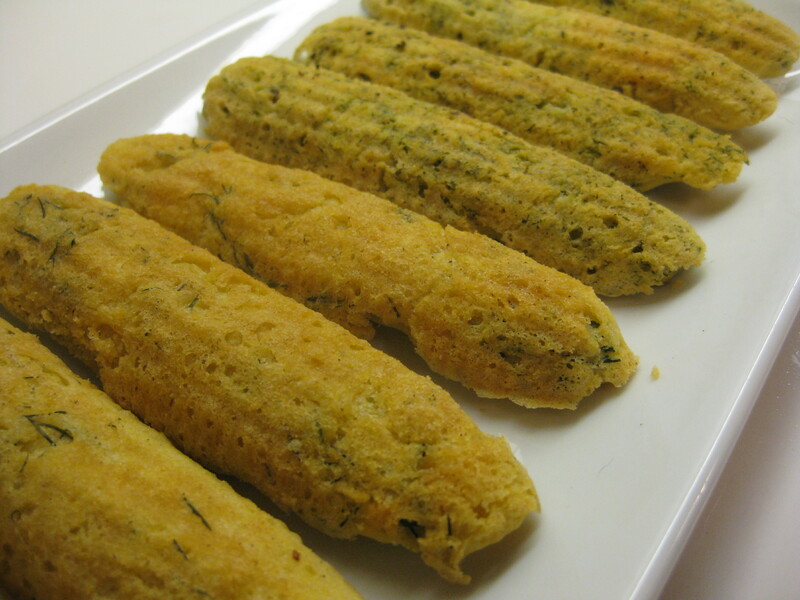 Generously oil two cast iron corn stick molds and place them in the oven for 10-15 minutes. Combine the dry ingredients. Lightly beat the eggs and add the water. Combine the dry and liquid ingredients, just to mix. Add the melted butter, the corn if using, and stir until smooth. Fold in the dill. Remove the pre-heated molds from the oven, spoon the batter into each cavity, filling to about ¾ capacity. Bake for about 20-25 minutes, until the sticks are golden brown. Makes 21 sticks without the corn.